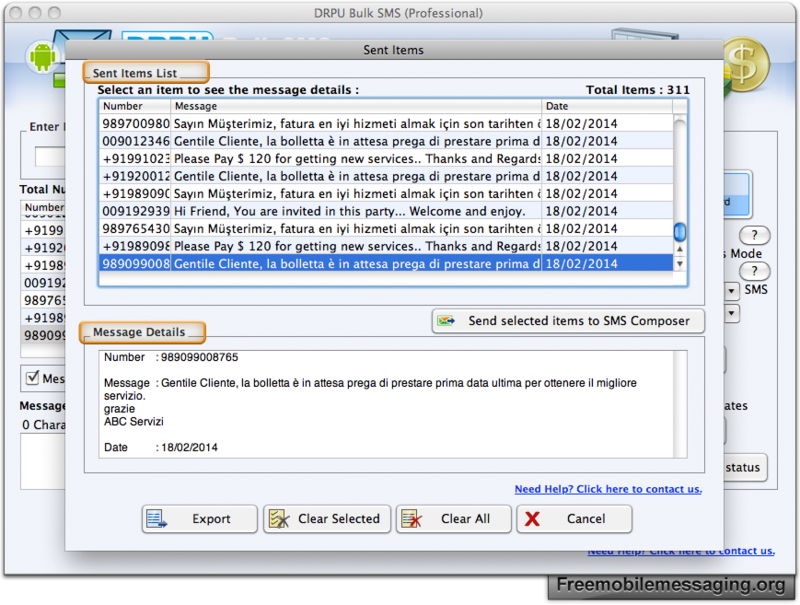 Screenshot showing details of connected device with test message settings. Select mode of execution (Single shot or one to one contact). 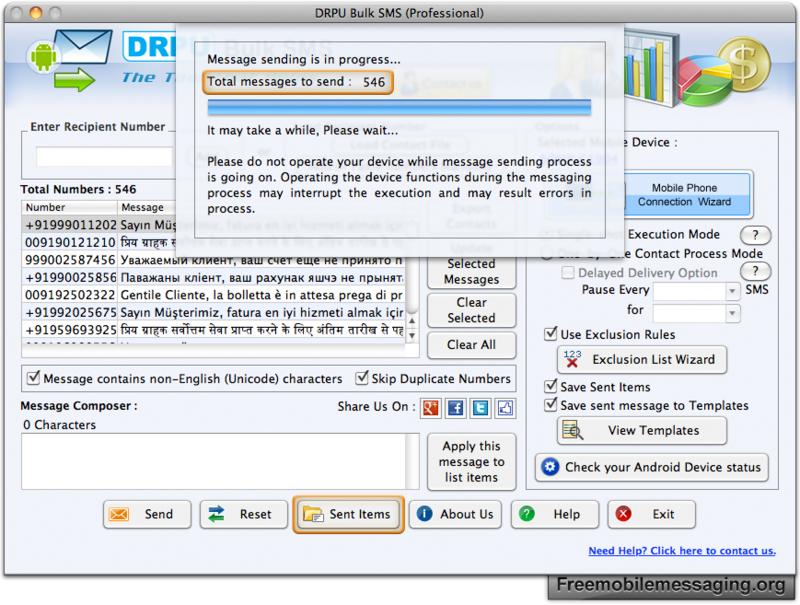 If you want to send message in different language then enable message contains non-English (Unicode Characters). To skip duplicate entries enable 'Skip Duplicate numbers' option. 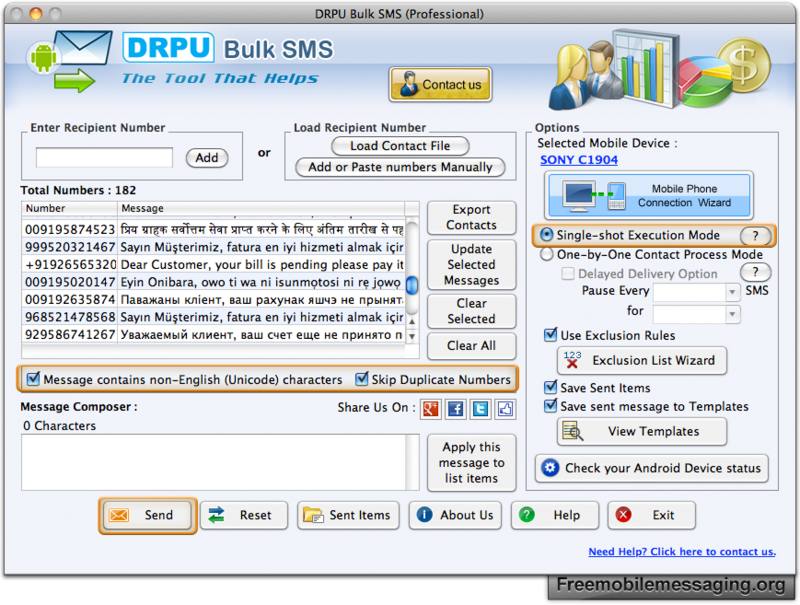 Screenshot display status of message sending process. You can save sent items and see details of selected sent item.